This week’s Limited Campaign is the Super Premium Item Festival! In Happy Cards Limited Edition, your chance of opening a Super Premium Item outside of Happy Time is doubled!! The probability of obtaining a Super Premium Item is normally 100% during Happy Time, and 7% outside of Happy Time. However, during this campaign, the chance of getting a Super Premium Item outside of Happy Time is increased to 14%! 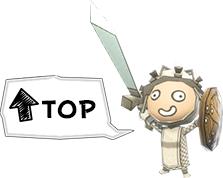 This is your best chance to collect some evolvable items! Don’t miss this week’s Happy Cards Limited Edition! 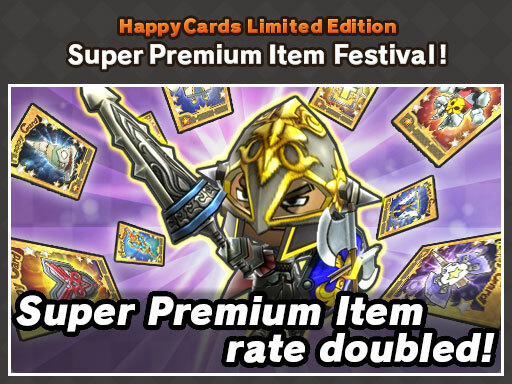 *Please note that “Super Premium Item Festival” will not be applied to the normal Happy Cards.